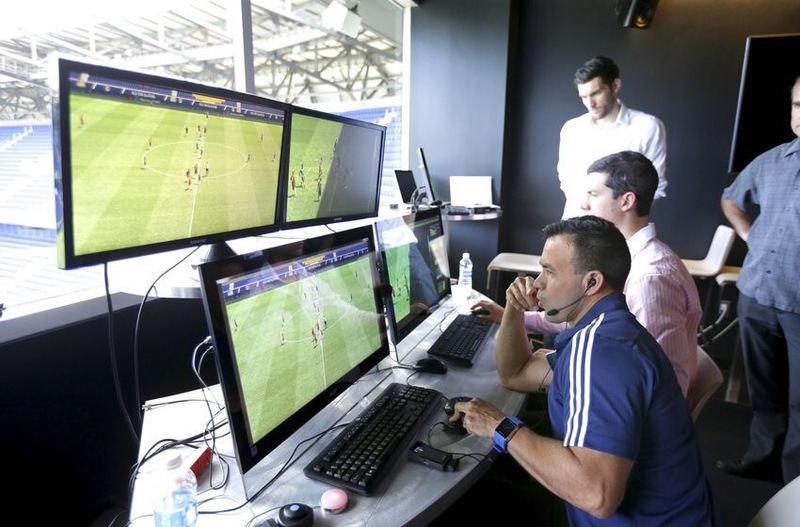 Over the past couple of weeks you have all probably watched the 2017 Confederations Cup played in Russia and everyone also had an opportunity to look at the new Video Assisted Referee’s or VAR as it is commonly known, in action. This new addition to our beautiful game was used in the tournament and it was great to see it action and how was it going to work. It gave all of the sceptic’s including myself, the chance to run the rule over something that is new in our game and if the men upstairs in suits have there way, it will become a permanent feature. The introduction of this new technology has been long overdue and the reason it has been brought in is because players are continously cheating and have added a new dimension to their game by trying to con referees. This new technology is now in place to help the referees sort out the major issues in the match that happen. The system was put in place to have a look at four specific areas and they are, Goals and whether there was a violation during the build up, Penalty decisions, Red Card decisions and Mistaken identity in awarding a red or yellow card. I felt during during the tournament it was very confusing when the system was called upon, the stopping of the game to view many incidents was very annoying. I saw in one game an incident review for a goal that had been scored, the officials went back to have a look at a phase of play that had long passed before the ball was finally put in the net. The goal was eventually disallowed for an offside but in my opinion it was utterly ridiculous to go back so far to review the incident. There was also an incident in a game where a referee sent off the wrong player and on reviewing his decision he returned onto the pitch and eventually got the correct offender. The only annoying part about this incident was the referee wandering around the pitch to find the player he was looking for, simply embarrassing. The final itself was not without controversy, when a Chilean player clearly elbowed his opponent in the face and although the referee reviewed the incident he only produced a yellow card. In that incident the referee had two opportunities to get things correct and in my opinion made a mess of it. It is very hard to be critical of a system that is been trialled but if we are to bring this into our beautiful game we need to smooth off the rough edges. In my opinion it has led to lazy refereeing because these top officials should be getting the big calls correct, there are no excuses for top FIFA men not to perform. It is as if the attitude now is that if they miss a big decision they have the luxury of reviewing the incident on VAR, this is leading to lazy refereeing in my opinion. Without any doubt if this system is to go forward we need to see officials from the same country taking control of the games. The guys who are up in the box need to know how the referee on the pitch manages a game. If they work together on a regular basis they will know each other inside out and know how each other tick and this will lead to the VAR system been used in a more tidier way. No disrespect here, but a referee sitting upstairs in a nice cosy room from Uzbekistan, can simply be not instructing a referee from say Germany, Italy or Spain as to what he thinks the referee might have missed in the game, after all he would not have refereed at the level those guys do. So all in all it VAR has been very interesting, but I do feel there is a lot of work to be done before we can use it the World Cup Finals next year. It would be great if the officials can pull this together and finally get the big decisions correct, but let us also not forget that this system was brought in because the modern day players cheat and there is no question about that. I hope when it all comes together that we are singing the praises of VAR and that is all the supporters want.